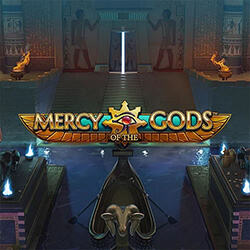 Mercy of The Gods is the latest creation from international software developer NetEnt. The slot boasts a maximum jackpot worth 160,00 coins, along with an enthralling progressive prize network. The game is inspired by the mystery and beauty of Ancient Egypt, and is based heavily on the mythology that surrounds the fascinating culture. Along with its unique aesthetics, the game comes with a number of enticing features. Set on 5 reels and with 20 betting lines, this slot offers a range of bonus features, including wild symbols, free spins, as well as Gift of Life Respins and the Gift of Wealth bonus, which has the potential to net the player huge wins. The regular base game can reach scores of up to 1600x the original stake, which can culminate in the 160,000 coin jackpot. The basic wild symbol is the first bonus feature of Mercy of The Gods, and can appear on all reels within the game. The icon can fill in other missing symbols and complete combinations that would otherwise be incomplete. The only symbol that cannot be replaced is the scatter. If more than one wild should appear on the reels during a spin, the Gift of Life Respin feature is activated, and the wild will move down by one position until it drops off. Wilds are also able to expand across the reels, which is dubbed Gift of Double Wild, where wilds will move down for every respin. 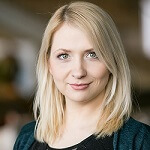 Free spins and the Gift of Wealth jackpot are also part of NetEnt’s newest slot.